Hello my little sleigh bells. So it is the last week before Christmas. Is all your shopping done? Need a last minute gift? Well there is a one-stop idea for all ages and interests. The best part is that not only is it a fun gift but it also can contribute to better mental health. What is it? 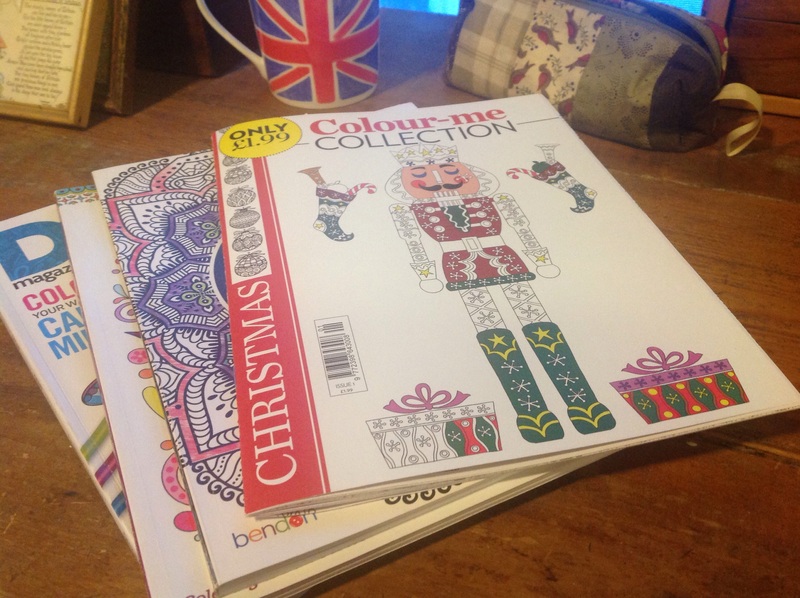 Colouring books of course. They truly are a gift for all ages from the smallest child to grandma or grandpa. Now it may take some convincing to get a grumpy gus to the table to join the fun, but if you can get them started most people find it relaxing. Todays adult colouring books are not the ones we had as kids. Everything from detailed fantasy designs, to Harry Potter or Game of Thrones is available. 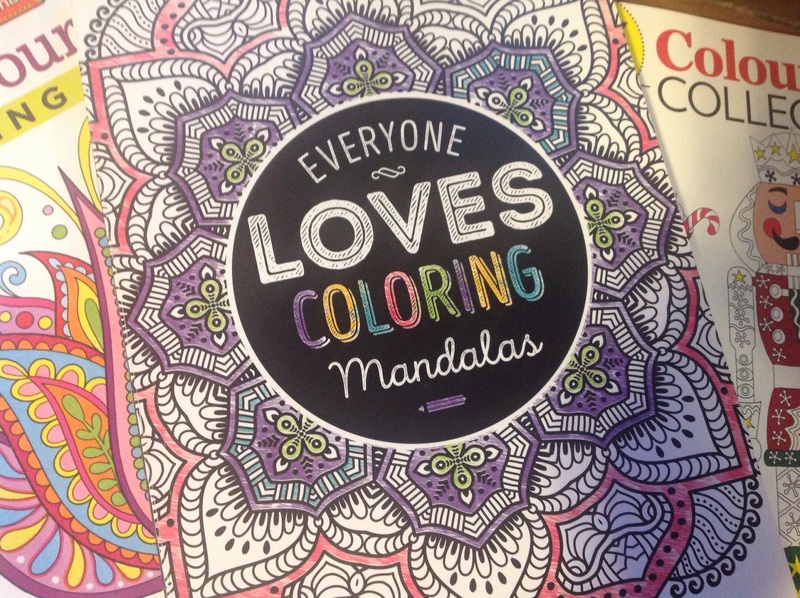 No matter what your special interest or hobby someone is making a colouring book aimed at you. You can’t walk by a news stand without seeing a new selection, and they are for the most part very affordable. There are also general ones small enough to fit in your purse to take along for a spare moment. My particular favourites are mandalas, the designs are balanced so the part of my brain that likes order and symmetry can fall into the calming repetition of it. 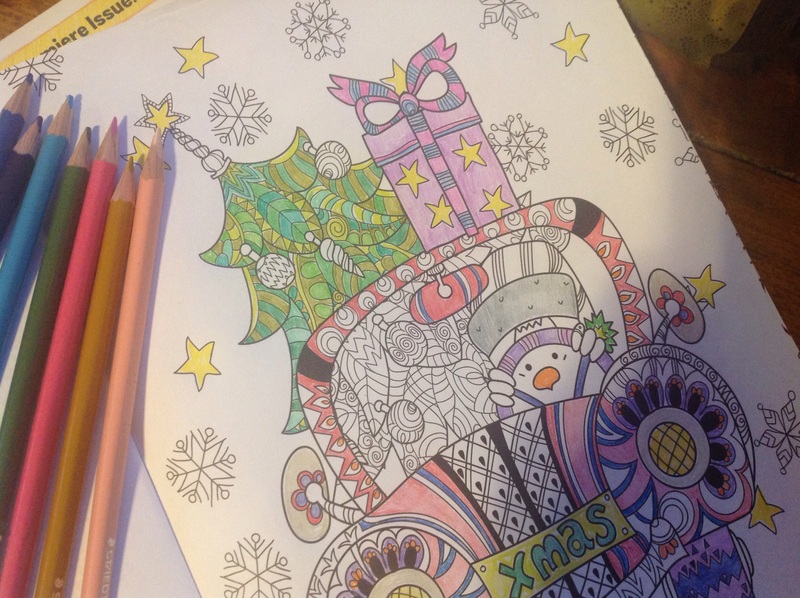 On days when I am the most stressed, or when my mind can’t settle to do anything I often pull out one of my colouring books and lose myself in it until I feel better. 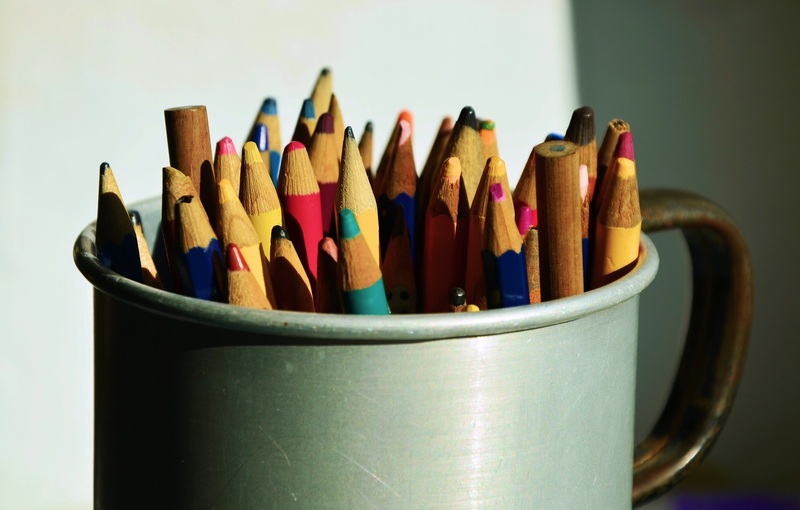 I have used Coloured pencils, fine makers, and even good old Crayolas, it is really a matter of what you enjoy. I recently bout a box of pencils that are different colours on opposite ends, great for my pencil case to take with me on the go. Of course there are specialty Christmas books. The one below came free with another magazine. A quick search on-line and you can find free pages to download for all occasions. I have linked one below. Great for Family Christmas activities to keep the kids (or adults) entertained.